Often, when we talk about history, we discuss things like war, countries and politics. But, history doesn’t need to be that complicated… Everything around you has a history from your house, your parents, your school and yourself. Let’s take a journey through Alexander Academy’s! 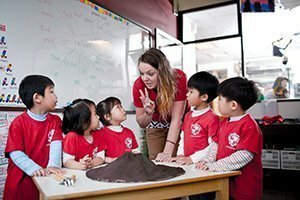 In 2008, Principle Sophie grew frustrated with the English schooling system in Taiwan which was all about drilling and memorisation. Boring! She decided enough was enough and decided to put a proactive philosophy into language learning. The dream was to have a school which promoted English, participation but also moral fibre. Imagine that, a school that taught you more than just subjects. A few months later, south of Taipei 101, two classrooms were set up that used role-plays and music as their basis for teaching English. The first seeds of Alexander Academy had sprouted. Over time, things developed and the school began to run a wider range of lessons based around themes. Dinosaurs, buildings, senses – we included it all! We taught all subjects in English and made sure to use hands-on activities to supplement the lessons. Each teacher encouraged the students to think critically and communicate in as many ways as possible. The school got bigger and bigger before moving to the building we use today. From two rooms, Alexander Academy had grown to eight. We now had three floors to teach on. One thing always remained the same, Alexander Academy was a safe and enjoyable place to learn where students respected one another. developments to our reading and writing curriculum by teachingkids how to proofread and how to improve their writing independently. 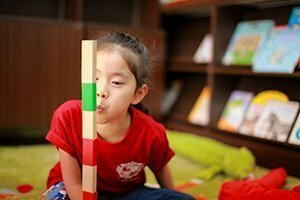 Our curriculum had grown to cover many things and we were ready to introduce it to other Taipei districts: we decided to open a new branch near Da’An park. With enough teachers to put in both schools and make engaging lessons for all, the school continued todevelop. New and interesting teaching materials are made everyday: this magazine is a fine example of it. In the future, we want to offer more classes and become a well-rounded school that can provide a holistic education not only in the evening but during the daytime as well. Alexander Academy has moved forward massively since it first started in 2008. The school is bigger and has more to offer its students beyond just teaching English. It has taken a lot of work from a lot of different people to help build it into what it is today. Who knows what pages we will be adding to the historyof Alexander Academy in the future? Copyright © 2014 Alexander Academy | All Rights Reserved.